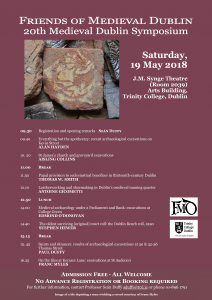 This year’s Friends of Medieval Dublin Symposium will take place in the J.M. Synge Theatre (Room 2039) in the Arts Building, Trinity College Dublin, and will provided a wealth of new information on this fascinating medieval city. Of course, we can’t tell you exactly what will be revealed at the symposium – for that you must come and hear for yourself – but here is a sneak-peak to whet your appetite. Alan Hayden will kick off the event with his excavation of the plots fronting onto Kevin Street and New Street. 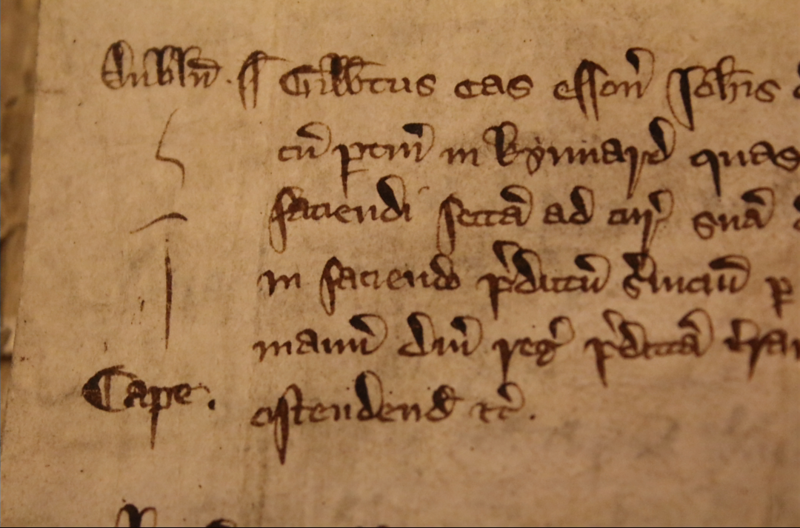 Does the evidence display all the clichés of the fourteenth-century decline? And what about that apothecary shop uncovered during the dig? For our second paper Aisling Collins will explain the significant findings from the dig of the church and graveyard at St James’s. 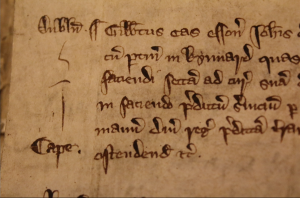 Thomas W. Smith will shine some light on papal provisions to ecclesiastical benefices in thirteenth-century Dublin while Antoine Gicometti’s examination of a medieval tanning quarter will showcase leatherworking and shoemaking in medieval Dublin. After lunch Edmond O’Donovan will showcase his recent excavations from the internal courtyard at the site of the Bank of Ireland Parliament House, College Green. This location appears on Speed’s map of Dublin as ‘the hospital’ – so what does the evidence say? Stephen Hewer will follow this with an examination of the one of the oldest surviving original court rolls of the Dublin bench from 1290. Having closely examined the manuscript, Stephen will reveal what it can tell us about Dublin and Gaelic people’s access to law. The final session this year will include some of the results from Paul Duffy’s excavations at at 30 & 32-6, Thomas Street which reveal a great deal about crafts in medieval Dublin. 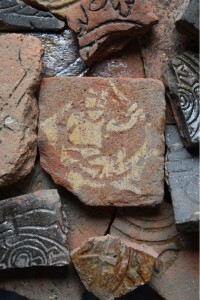 His excavations have uncovered lots of evidence for tanning pits, which generally remain under the radar, and thus is a hugely exciting discovery. Franc Myles’ talk will close the day. 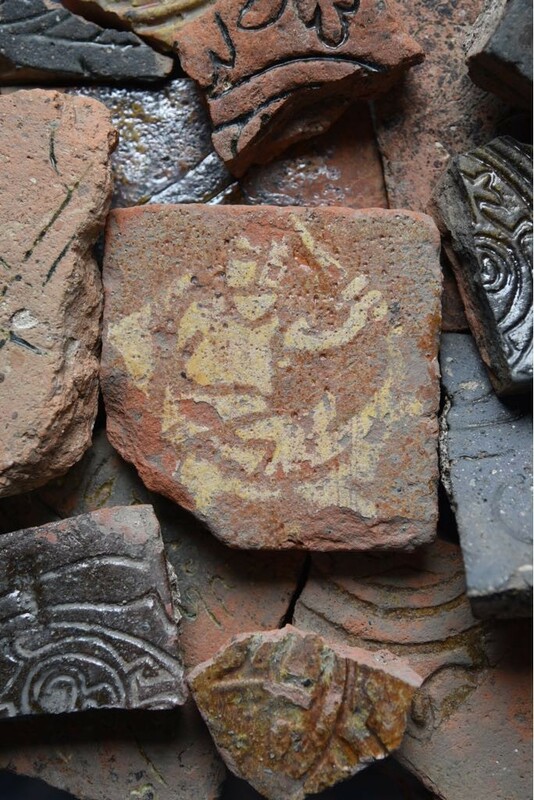 One of Franc’s finds – a wonderful tile with a depiction of a man wielding a sword – adorns this year’s poster and his examination of the tiles at Keysar’s Lane from the excavations at St Audeon’s is bound to offer a fascinating glimpse into the fabric of medieval Dublin.